Apple Cinnamon Pecan Brittle 8 OZ. Home > Specialty Brittles > Apple Cinnamon Pecan Brittle 8 OZ. You have to try this one if you are a lover of anything Apple! Cinnamon spices, Pecans and did we mention Apple? Sweet Heat Brittle 8 Oz. 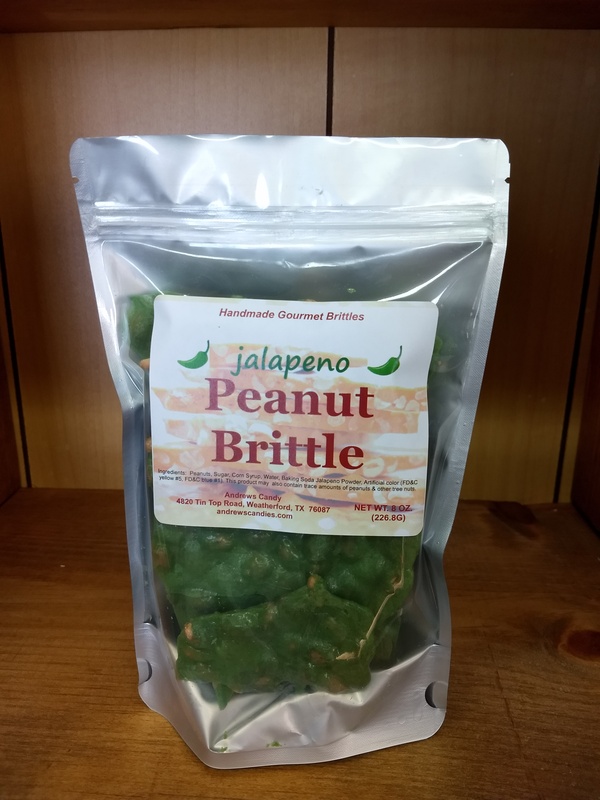 Jalapeno Peanut Brittle 8 Oz. Cinnamon Pecan Brittle 1.5 Lbs. Cinnamon Pecan Brittle 8 oz. Apple Cinnamon Pecan Brittle 1.5 Lbs. Copyright Andrews Candy. All Rights Reserved. Online Store Builder by 3DCart.